Footage of 0-6-0 "Brighton" Terrier in steam. 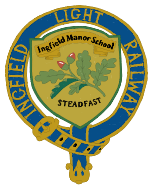 © Ingfield Light Railway 2016. Designed and maintained by Rosanna James.